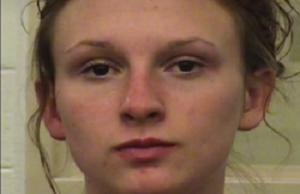 In the early morning hours of April 22, 2014, the cops spotted 19-year-old Mary Hawkes. They say they “suspected her of stealing a truck” so they ran after her. Then they shot her dead. Later, the swift execution was justified with those words heard over and over again so many times, “the suspect had a gun.” A nearby neighbor told a reporter, "All I heard was the three gunshots and it turned quiet… I didn't hear no yelling, no nothing. I just heard a lot of cop cars coming." Mary Hawkes is the third person in five weeks to be killed by the Albuquerque Police Department. The news reports of her murder, of course, as they always do, made a point about her so-called “troubled past”—as if being arrested for something like shoplifting or being homeless somehow justifies being shot down with no mercy. On March 16, just over a month before Mary Hawkes was killed, the Albuquerque police fired six rounds from an assault rifle into 38-year-old James Boyd, a homeless camper. The murder, caught on police video, shows Boyd trying to surrender and a police dog being sicced on him after he was shot. The video went viral on YouTube, prompting widespread outrage and several protests in the streets of Albuquerque. A week later, the police shot and killed 30-year-old Alfred Redwine after a standoff. Since 2010, 38 people have been shot by the APD, 24 have been killed. NONE of the officers involved in any of these shootings have faced criminal charges or, in most cases, any kind of internal reprimand. This is just ONE of the many, many police departments all around the country that systematically and routinely brutalize and murder people, where there is a whole history of the police literally “getting away with murder” time after time. Cop cars always have that slogan painted on them, “serve and protect.” But what do these pigs really “serve and protect”? It’s this whole system of oppression and exploitation that causes so much misery for the people day after day after day. It’s this system of capitalism that gives these enforcers badges and guns and the “right” to brutalize and murder people with impunity in order to maintain the status quo of this whole unjust set up.